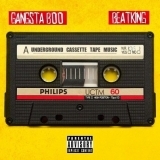 Underground Cassette Tape Music (this album) (2014). Sorry, no matches on eBay for "Rambunctious (Feat. Danny Brown & Riff Raff) Gangsta Boo".